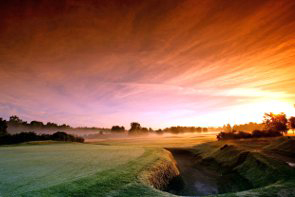 The UK is chock a block with countless golf courses of undeniable quality. 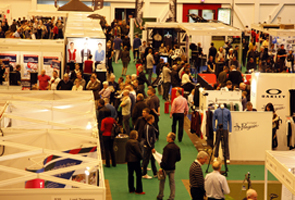 Some of these courses are widely regarded being among the best in the world. 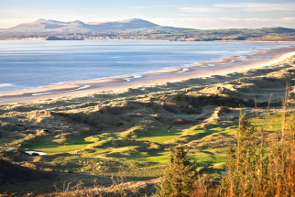 With golfing heavyweights like the St Andrews Old Course, Celtic Manor and the Belfry on the menu, it is easy to overlook some of the hidden gems in the UK. Many golfers only discover these courses by accident or through word of mouth; so it is of no surprise that there are so many hidden gems out there just waiting for you to play them. These unsung heroes often offer great value and then chance to have the course to yourself. 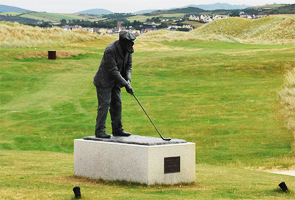 Here are the Top 5 golf courses you have never heard of. 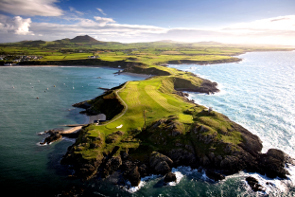 Seemingly perched on the edge of the world, Nefyn & District is a stunning course that unusually offers 26 gorgeous holes. Players start on the standard outward ten holes then have a choice of two separate inward eights. 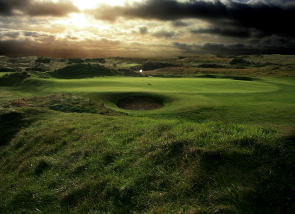 The course lies on a miniscule promontory that extrudes out into the Irish Sea. Originally just a nine hole course, it was extended to 18 holes in 1912 and then in 1933, architectural gods J.H.Taylor and Lames Braid were commissioned to add a further nine holes and to revise the existing course. We’re not entirely sure what happened to the 27th hole…perhaps it floated out to sea! Nefyn is one of the only seaside courses you can see the sea from on every hole and on a clear day you can even spot the Wicklow Mountains from across the Irish Sea! We recommend the Old course although it really doesn’t matter which combination of holes you play as they are all equally stunning and excitingly treacherous! You will be hard pressed to find a better setting for golf in the UK. Saunton Golf Club makes it in at number two and it is in the rare position of boasting not one but two amazing golf courses. The courses are located on the unspoilt turf of the North Devon coast. The holes wind between the mountainous Braunton Burrows, which is one of the largest networks of sand dunes in England. The East course was built in 1897 and has since hosted numerous important events including the British Boys Championship, which was won here in 1997 by none other than Sergio Garcia. With the holes situated among the towering sand dunes, you will feel like you have each hole entirely to yourself. The East course is no push over with 8 par 4’s that measure over 400 yards and a long par 5 that stretches to 530 yards. 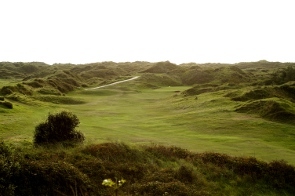 The West course is definitely not to be overlooked and we recommend playing both courses if you are visiting Saunton. This course is the younger sibling of the East course. Originally laid out in the mid 1930’s the land the course resided on was used as a training ground during the Second World War. 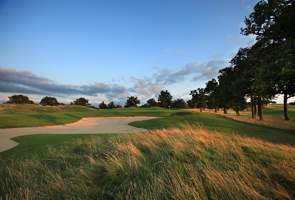 In 1975 the West course was revived by Frank Pennink and opened for play. The courses at Saunton feature narrow streams, dogleg designs and the holes that move away from the towering dunes are situated on genuine links turf. Both courses feature some of the best putting greens you will find in the UK and you will have to go a long, long way to find a better 36 seaside holes. 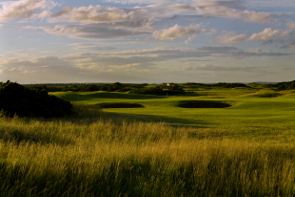 Designed by Harry Colt, the Championship Course ranks as one the best in the UK. Colt’s other work includes esteemed courses like Augusta National, Wentworth and Sunningdale. This list should go a long way to underline the quality of Trevose. 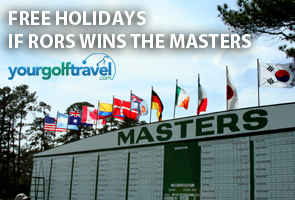 This course regularly plays host to professional events and is also a favourite amongst top amateurs. 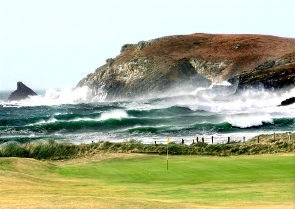 As with most links courses, the main defence for Trevose comes from the weather. As you stand on the first tee you can’t help but notice the sounds of the Atlantic Ocean crashing into the shore. Greens are large and the fairways can be generous but beware of the wind as any errant shots will be punished by penal rough and fiendish pot bunkers. As with most Colt designs there are two distinct loops of nine holes. The outward nine hugs the craggy coastline and the inward nine sees you head for home. 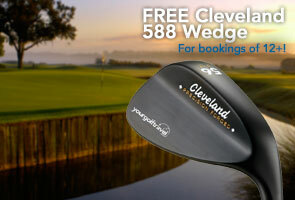 Trevose will test every golfer’s metal and indeed force you to be creative with your shots. This course is not to be missed! Situated high upon a heathland plateau, it is difficult for golfers to concentrate on this course thanks to the stunning 360 degree panoramic view. 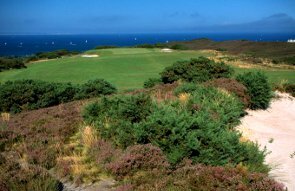 The Isle of Purbeck course was founded in 1892 and at the turn of the 20th century the legendary Harry Colt was commissioned to stamp his mark on the course. Featuring plenty of gorse, heather and fiendish bunkers, this course places the emphasis on accuracy. It is the shortest course on the list but the plateau it sits on is constantly exposed to the wind rolling in off the sea. The tee shot at the 5th alone is worth the green fee and and you will be hard pressed to find a more picturesque course in the British Isles. The New Course is often regarded as the oldest “new” course in the world. Overshadowed by the world famous Old Course, this is a classic links course that was laid out by Old Tom Morris in 1985. The construction of the new course was paid for by the R&A due to the fact that the streams of visitors to the Old Course were getting out of hand. Following a gentle start to the round, the New Course is home to numerous tough driving holes that are tightly marshalled by yellow gorse waiting in the flanks to gobble up any errant tee shots. 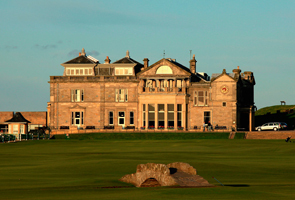 The deserved reputation of the Old Course has made the New Course at St Andrews one of golf’s best kept secrets. Now that you are armed with this priceless information you will be able to enjoy these hidden gems before many others even know they even exist! Either spread the word or keep these courses as your little secret! Print article This entry was posted by Rory on April 13, 2011 at 8:46 am, and is filed under General. Follow any responses to this post through RSS 2.0. You can leave a response or trackback from your own site. I’ve recently started a golf blog, I find UK Golf Guide to be a great source of golf reviews and more.